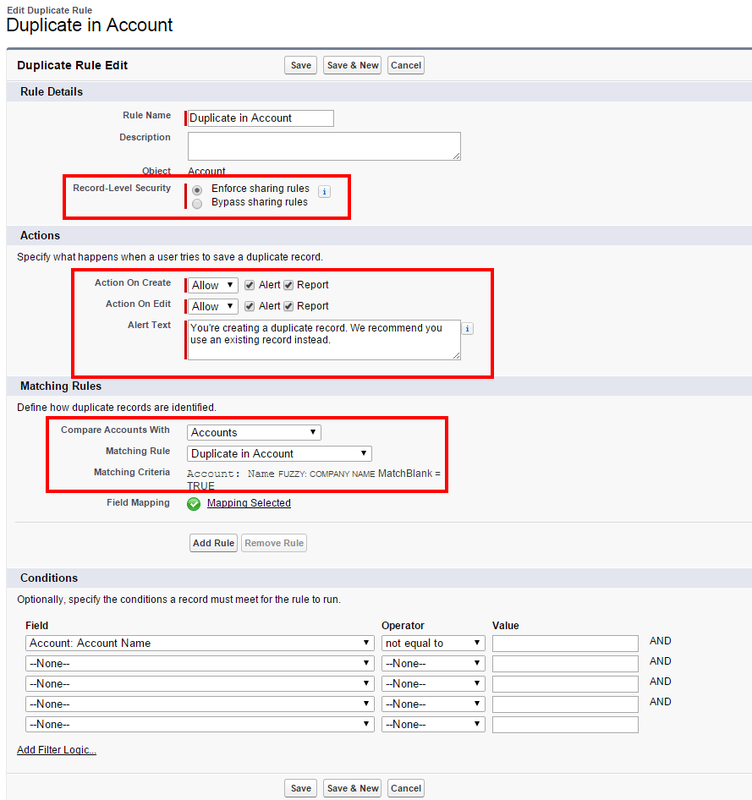 Duplicate Management feature released in Spring'15 is one of easy and useful feature that salesforce release in Spring'15, same as like "Process Builder", recently I tried to implement it and this feature is doing almost all the things that we want and was doing using Apex triggers. 3. Provide the name of the rule and select the field on which you want to check the duplicacy and select one of the selected value "Exact" or "Fuzzy"
Exact will match the exact match. Fuzzy will check for the containing match as well. Your rule should look something like this, then click on "Activate", you will receive an email on the activation of the rule. 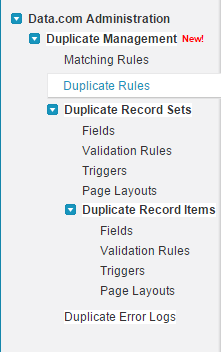 Salesfirce Duplicate Management have many features you can right trigger it have two objects as well "Duplicate Record Sets" and related child object is "Duplicate Record Items" where you can the related duplicate records, you can modify the page layouts as well. Soon will post Duplicate Management's Trigger using at its best. I am new to this feature but we have already validation rules are there under every object . Mani, validation rule will only check the validations and the formats of the email Id and phone numbers of required fields, but it will not search the data in the object having duplicate name or Email, validation rule doesn't work like this. It means without trigger we can find dupes..! !